The upcoming Christmas season is a perfect opportunity to put into practice all the decluttering tools in our arsenal. 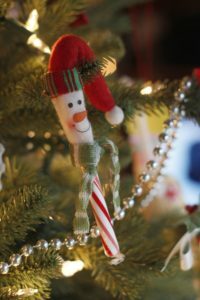 I believe so deeply and passionately in the concept and am anxious to share this post with you as holiday encouragement! I’ve pulled it out, dusted it off, and refreshed it a bit. Please enjoy this tried and true message. Brisk autumn days, pumpkin scented candles, and delicious Thanksgiving dishes have given way to a myriad of Christmas preparations. It’s a lively, eventful time of year, which unfortunately, often quickly segues into a chaotic holiday rush. What if you took ‘chaos’ out of the Christmas equation and replaced it with another descriptor such as ‘joyful’, ‘peaceful’ or even ‘relaxing’? Does this sound completely unrealistic? What if I told you it was completely possible? 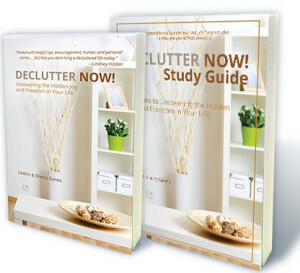 In Declutter Now!, we discuss decluttering each area of your life, thus leaving more time, money, energy and freedom to enjoy what matters most. By applying some of these same core concepts to the Christmas crazy, you can transform your heart and home just in time for the holiday season! It really can be just that easy! Follow my 6 Easy Steps to Declutter Christmas and make this season the most enjoyable and meaningful one yet! Step l – Attitude Adjustment. Typically, fall isn’t when we consider decluttering. Spring cleaning is called just that – because it’s in the spring! This time of year, however, often provides the opposite scenario. We’re gathering and collecting everything from decorations, gifts and material for crafts to greeting cards and ingredients for yummy traditional dishes. Decluttering isn’t about discarding these festive holiday pleasures, but intentionally preparing so you can enjoy them more fully. Attack this holiday with a new and improved mindset. BEFORE things get geared up, commit to making adjustments in preparation for what’s coming. Think ‘organize space’ and ‘storage solutions’ for these goodies, and discipline yourself by keeping priorities in mind. It’s time for a strategic, intentional, and proactive approach. Step 2 – Prepare the Way. November provides an ideal opportunity to donate. There are endless charities, all in need of gently used clothes, toys and household items, who are especially grateful for assistance before the holidays. Warm clothes are in high demand and a recycled gift may be the only present a little one receives. Get rid of your excess, not only to benefit others, but to make room for what may be coming. If you have young children, you can relate to the feeling of exasperation when you look at the mound of Christmas gifts they’ve received and dread the work trying to fit them in already stuffed closets and overflowing drawers. Instead of encountering this frustration, try a preemptive, organizational approach and breathe easier when the time comes! Step 3 – Ditch the Drama. There are more jokes about the family drama which can ensue during the holidays than ornaments on a Christmas tree. Sitcoms have a field day mocking the insanity that goes on and movies make millions playing off the turmoil that many experience. This is the year for a welcome change of pace! Think about holidays past, paying particular attention to the highlights you cherish and moments you’d rather not remember. What changes can make to ensure more of the good and less of the bad? Of course, there’s the unavoidable that no amount of planning and preparation can prevent, but intentionally setting the stage for a season of fond memories and joyful moments will set you up for the best chance of success. Don’t accept invitations out of obligation and don’t extend them out of guilt either. Intentionally choose with whom you spend your time and where. Festive means cheerful, joyful, and merry. It isn’t festive if you’re feeling uncomfortable, anxious, or downright miserable. Decluttering this area of the holidays may be one of the more difficult to address, but generally proves to be the most rewarding. Be true to yourself and take a no regrets approach. Step 4 – Declutter Debt! Overspending during the holiday seems to be the way of it. Any other time of year, frivolous or extravagant spending is shunned, but at Christmas, a different set of rules seem to apply and all bets are off. I beg to differ. While I agree this time of year is about giving, that doesn’t necessitate running up a mountain of debt that’ll take you until next Christmas, if you’re lucky, to pay off. Is that really the ‘Reason for the Season’? Hardly! Make your giving count by giving within your means and from your heart. Thoughtful trumps excessive any day, and if the recipient doesn’t agree, they don’t deserve your gift anyway. Harsh but true. 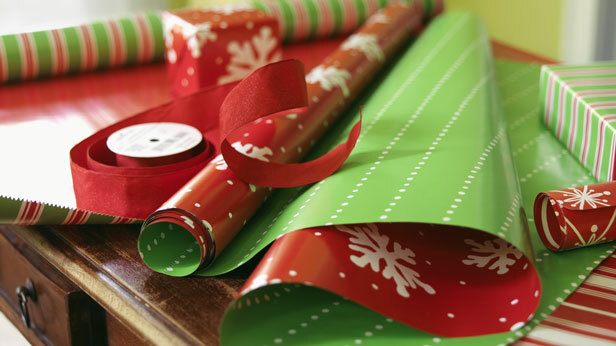 Tap into your creative side and craft a homemade present. Offer free childcare for parents that don’t often get a break. Perhaps plan a simple date to spend time with a special friend. There are many ways to show you care without breaking the piggy bank. Don’t allow debt to eat up your holiday spirit. Step 5 – Balance! Remember, it’s okay to say ‘NO’! 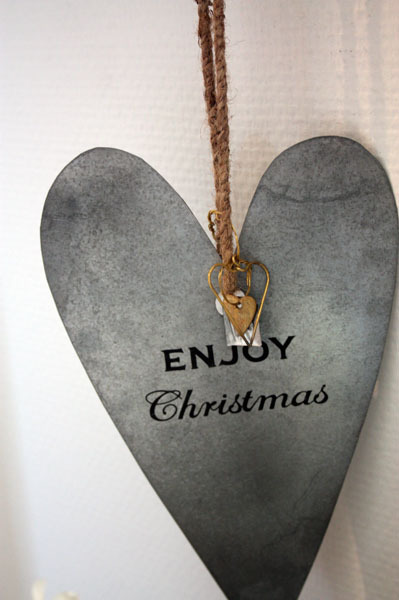 The holidays can easily be overshadowed by a zillion to-do’s and commitments. Don’t get caught in the clutches of the Christmas chaos. It’s better to attend two functions, with the time and energy to genuinely enjoy them both, than to squeeze in four or five and miss the joy of each occasion because you’re a rushed, exhausted, overwhelmed mess. Do yourself and your family a favor – prioritize first and then declutter the least important activities. Step 6 – Keep ‘Christ’ in Christmas! During Christmas, it seems every other person has a”Jesus is the reason for the season” pin or shirt on. Yes, I love that saying as much as the next guy (or gal! ), but do we take it to heart? While the food and gifts are fun, they don’t make a difference in eternity. Enjoy them without guilt, but keep Christ in the center of your joyous celebrations. Thank God for sending his son, celebrate Jesus’ birth, and share the gift of salvation with those around you. Envision a Christmas where you feel prepared from the get-go. A time of deep joy and contentment because you’ve decluttered the areas that frustrate, hinder or otherwise trip you up. No guilt. No obligation. No lingering debt. Just time and peace to enjoy the holiday season with those you love. Take a proactive approach this time around and relish the reality of this vision. It’s practical, possible, and yours for the asking. 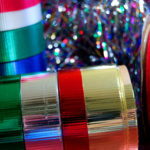 Make the decision to Declutter Christmas! Did this post hit home? If so, please comment and tell us your story or game plan for changing the status quo this Christmas! Please feel free to pass this ‘gift’ along to your friends and family! This entry was posted in Inspirational, Self-help and tagged chaos, Christmas, crazy, debt, declutter, drama, energy, freedom, holiday, Jesus, joyful, love, money, peaceful, relaxing, rush, time. Bookmark the permalink.